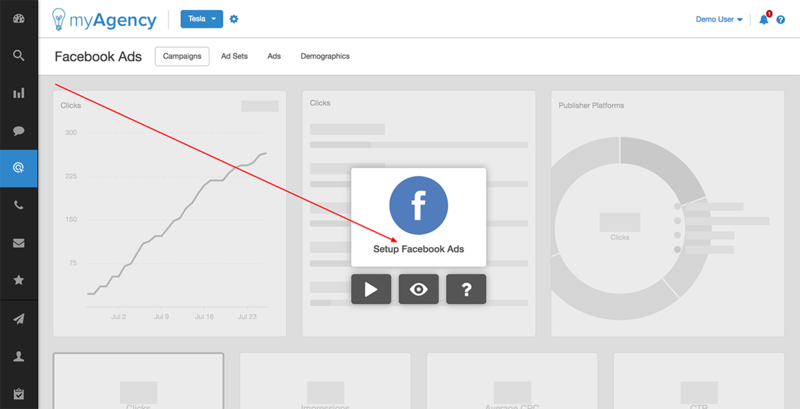 Our Facebook Ads integration allows you to view the most important, most commonly used Facebook Ads metrics in a powerful, yet easy to understand format. 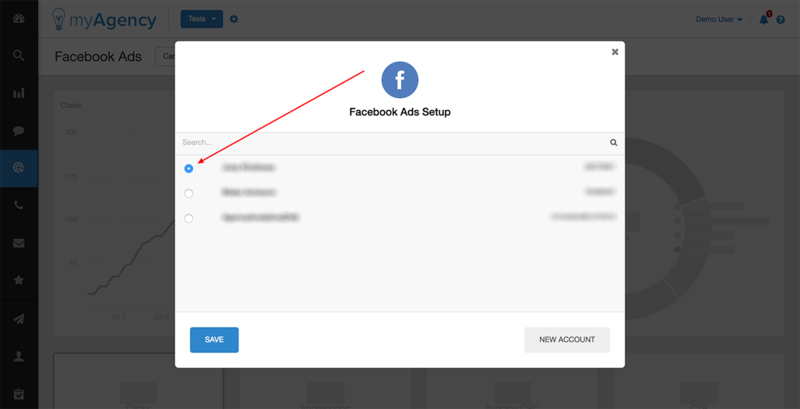 This article describes the process for connecting your Facebook Ads account to AgencyAnalytics. 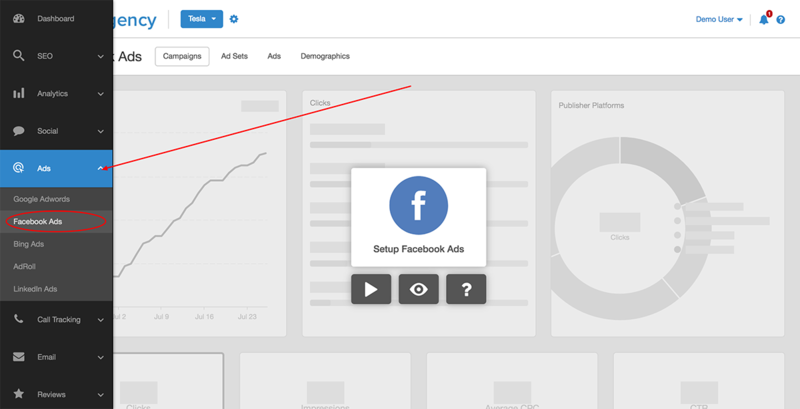 First, navigate to the home dashboard for the campaign where you'd like to connect the Facebook Ads integration. Then, choose "Ads --> Facebook Ads" from the dark navigation bar on the left-hand side of your screen. Next, click the link in the middle of the screen that says "Setup Facebook Ads". 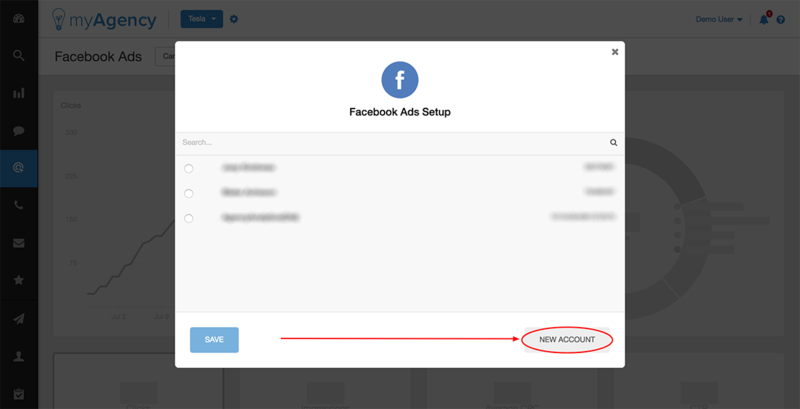 If the account that you would like to connect is under a different FB Ads account, and you need to enter different credentials to access that account, click the button that says "New Account", then enter the appropriate credentials, and step through these screens again.